By: The Great Courses, Father Joseph Koterski S.J. Narrated by: Father Joseph Koterski S.J. 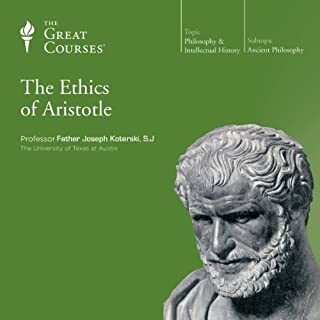 In this 12-lecture meditation on Aristotle's Nicomachean Ethics, you'll uncover the clarity and ethical wisdom of one of humanity's greatest minds. Father Koterski shows how and why this great philosopher can help you deepen and improve your own thinking on questions of morality and leading the best life. The aim of these lectures is to provide you with a clear and thoughtful introduction to Aristotle as a moral philosopher. 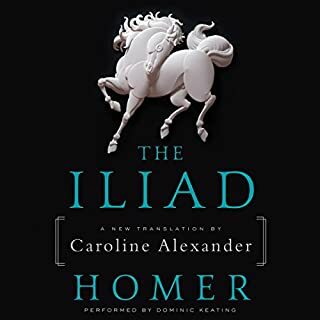 Carved close to the original Greek, acclaimed classicist Caroline Alexander's new translation is swift and lean, with the driving cadence of its source - a translation epic in scale yet devastating in its precision and power. 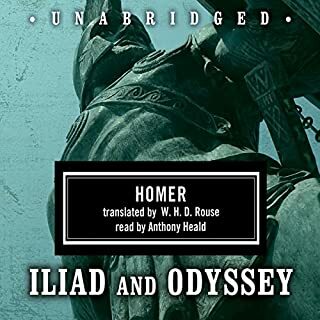 Homer’s Iliad and Odyssey are unquestionably two of the greatest epic masterpieces in Western literature. Though more than 2,700 years old, their stories of brave heroics, capricious gods, and towering human emotions are vividly timeless. The Iliad can justly be called the world’s greatest war epic. The terrible and long-drawn-out siege of Troy remains one of the classic campaigns. The Odyssey chronicles the many trials and adventures Odysseus must pass through on his long journey home from the Trojan wars to his beloved wife. What can we still learn from C.S. Lewis? Find out in these 12 insightful lectures that cover the author's spiritual autobiography, novels, and his scholarly writings that reflect on pain and grief, love and friendship, prophecy and miracles, and education and mythology. The Roman Empire: From Augustus to the Fall of Rome traces the breathtaking history from the empire’s foundation by Augustus to its Golden Age in the 2nd century CE through a series of ever-worsening crises until its ultimate disintegration. Taught by acclaimed Professor Gregory S. Aldrete of the University of Wisconsin-Green Bay, these 24 captivating lectures offer you the chance to experience this story like never before, incorporating the latest historical insights that challenge our previous notions of Rome’s decline. With this exciting and historically rich six-lecture course, experience for yourself the drama of this dynamic year in medieval history, centered on the landmark Norman Conquest. Taking you from the shores of Scandinavia and France to the battlefields of the English countryside, these lectures will plunge you into a world of fierce Viking warriors, powerful noble families, politically charged marriages, tense succession crises, epic military invasions, and much more. The Iliad is one of the most enduring creations of Western Civilization and was originally written to be recited or chanted to the accompaniment of various instruments. 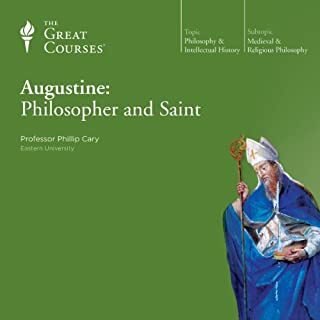 Properly performed, this work today is just as meaningful, just as powerful, and just as entertaining as it was in the ninth century BC, and it casts its spell upon modern listeners with the same raw intensity as it did upon the people of ancient times. Few warriors, in life or literature, have challenged their commanding officer and the rationale of the war they fought as fiercely as did Homer's hero Achilles. Today, the Iliad is celebrated as one of the greatest works in literature, the epic of all epics; many have forgotten that the subject of this ancient poem was war - not merely the poetical romance of the war at Troy, but War, in all its enduring devastation. Adam Nicolson sees the Iliad and the Odyssey as the foundation myths of Greek - and our - consciousness, collapsing the passage of 4,000 years and making the distant past of the Mediterranean world as immediate to us as the events of our own time. Among the finest poets of ancient Greece was Hesiod, a contemporary of Homer, who lived in the eighth century B.C. It is still a matter of dispute whether Homer or Hesiod was the earlier poet, and sometimes whether they were one and the same person! At any rate, Hesiod's incredible poetry serves as a major source for our understanding of Greek mythology, farming practices, time keeping and astronomy. In and of itself, the "Works and Days" is unparalleled in its richness and beauty, easily rivaling Homer. Join three literary scholars and award-winning professors as they introduce you to dozens of short masterpieces that you can finish - and engage with - in a day or less. Perfect for people with busy lives who still want to discover-or rediscover-just how transformative an act of reading can be, these 36 lectures range from short stories of fewer than 10 pages to novellas and novels of around 200 pages. Despite their short length, these works are powerful examinations of the same subjects and themes that longer "great books" discuss. For thousands of years, Homer's ancient epic poem the Iliad has enchanted readers from around the world. When you join Professor Vandiver for this lecture series on the Iliad, you'll come to understand what has enthralled and gripped so many people. Her compelling 12-lecture look at this literary masterpiece - whether it's the work of many authors or the "vision" of a single blind poet - makes it vividly clear why, after almost 3,000 years, the Iliad remains not only among the greatest adventure stories ever told but also one of the most compelling meditations on the human condition ever written. As you'll learn, the grandeur and immediacy of Homer's world would seem to defy time and space. Throughout these lectures, you'll explore this legendary era in brilliant, unforgettable hues. You'll meet its towering heroes who thirst for honor and the gods who inspired and instigated them. You'll go deep inside the shattering battles at Troy that act out mankind's awesome passions for glory, love, and vengeance. But more than that, you'll focus on the timeless human issues this masterpiece raises, all of them evoked by the power of a single dramatic question: Why does Achilles rage? The limits of freedom, the common humanity we share, the line between justice and revenge, the nature of destiny, the meaning of life - Professor Vandiver uses the Iliad as a potent lens through which to study them all. 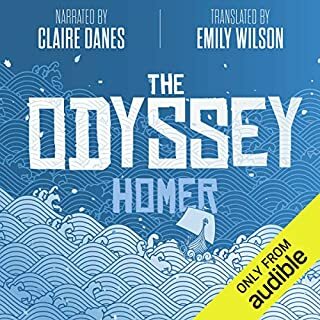 I really enjoyed listening to both The Illiad and The Odyssey of Homer. It is very obvious that Professor Vandiver knows a lot about these pieces of work. She starts the series off with background information about the way Homer's epics are written and information about Homer. After that, each lecture focuses on 1-2 "books" of the epics. Each book is well-analyzed and connects seamlessly with the next lecture. I listen to audiobooks on my commute to and from work. At first, I thought it was a little hard to follow along with the lecture because Professor Vandiver speaks really fast (I'm also a fast talker), but I quickly grew accustomed to her speed and cadence. I ended up enjoying each lecture very much and can still hear her voice in my head as I think back on the information. Overall, I definitely recommend this audiobook, along with The Odyssey. When I first read the Iliad of Homer on my own, I thought it a hyper-violent war story with deeply unsympathetic characters who let petty disputes plunge their societies into disaster. 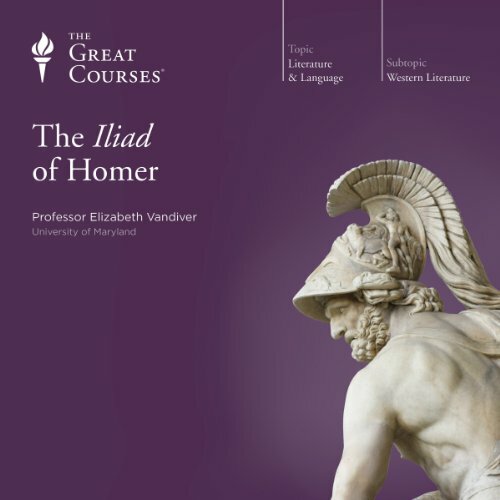 However, Professor Vandiver's lectures gaves the historical and cultural background for the Iliad, helping me to understand why Agamemnon's actions were so deeply insulting to Achilles, while also illuminating how the Iliad is a timeless work of literature that speaks to the human condition today. These lectures are a must if you want to really understand this famous epic. All of Prof. Vandiver's lectures on classical literature are highly recommended for anyone even the slightest bit interested in the subject. She brings so much background and insight to the great tales of Ancient Greece, illuminating small points that I overlooked when reading on my own. In addition, she is a first-rate lecturer, and keeps her discussions engaging throughout. Her conversational tone keeps her lectures free from the pedantry and pretentiousness that some lecturers suffer from. I have all of her Teaching Company courses, and love all of them. What other book might you compare The Iliad of Homer to and why? Vandiver's lectures on the Odyssey of Homer make a great companion piece to this lecture series, and come just as highly recommended. Excellent short series on the Iliad. Dr. Vandiver does a wonderful job of bringing the story to life and exploring the themes. This was a very good companion to the Iliad! It put the story in much more satisfying context than just reading it alone would have, specifically about the things that the ancient author would've assumed his ancient audience would've known about their culture and story background that today we might not know. The instructor seemed very knowledgable and erudite. I listened to the whole Iliad first before listening to the course, which is how I'd suggest going about it. She seems to assume that we all, as educated people, at least know the basic gist of the story and how it ends, so she gives away some pretty big spoilers right at the very beginning! Well I, as an uneducated plebeian, did NOT know these things and so I was glad I'd heard the whole thing first. Not that you're exactly listening to it for the express purpose of getting to the thrilling conclusion like it was a mystery novel, but still. It was nice to have a little element of surprise. My only complaint is that it was too short, which is a good complaint to have I guess. But it would've been nice to have a lecture at the end about the legacy of the epic throughout Western literature, thought, and linguistic idiom. And maybe a short note about choosing from the different translations, and a few practical tips for clearer understanding like explaining their system of naming. Even so, I highly recommend this course and look forward to hearing the one on the Odyssey once I finish it! 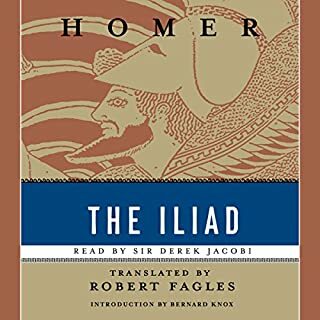 I had never read The Iliad before, so after listening to the Fitzgerald translation, I wanted to get more meaning and context from my reading. Professor Vandiver of Northwestern University gave some excellent lectures and enhanced my understanding of this classic of Western Literature. She was very organized and presented the material in an easy-to-grasp way. Her enthusiasm for the book and ancient Greek literature was evident in her voice. I would love to take one of her classes! I am now reading The Odyssey and intend to purchase her series of lectures on it too. What about Professor Elizabeth Vandiver’s performance did you like? Professor Elizabeth Vandiver is quickly becoming one of my favorite professors available through the Great Courses. She knows how to provide the structure the material deserves, while keeping it accessible. I wanted to, but my schedule dictated that I listen to it one lecture at a time. If you're getting this, get The Odyssey of Homer (same Professor), it paints the full picture of the Greek Epics. What did you love best about The Iliad of Homer? We are a homeschool family and decided to listen to this course as we studied The Iliad. The lessons greatly enhanced our learning and enriched our study of this great book. Professor Vandiver is a dynamic speaker who gives interesting lectures. I've listened to Dr. Vandiver before and was very impressed. She is well spoken and has a way of conveying the subject with clarity and passion. Dr. Vandiver's course on the Ilaid is wonderful. She has a sense of humor, and the love for the subject comes clearly across. She offers insight to the events and characters of the story. If you haven't read the poem at all or if you haven't read it lately, the course is still easy to follow for there is a summery. She will make you want to re-read the poem. Iliad explained to the 21st century audience. Van diver does a very nice job of presenting this oldest of stories to make it accessible and interesting to a general audience. I have read the Iliad before and now my appetite has been rekindled. The lectures bring out the humanity of the story. Dr Vandiver's passion for and knowledge of The Iliad shines through in these insightful and thoroughly informative lectures. This series of lectures on the Iliad is great for anyone who wants to learn about the text more deeply. The lecturer is amazing and she explains everything in a way that it easy to understand and informative. As someone with no prior knowledge of the story line, I found the narration easy to follow, and constantly interesting to learn about. It’s not only a concise summary of the story line, it does a fantastic job of explaining the key themes, ideologies and the societal values it carries. I was listening to it at 1.25x speed and found that to be a good pace for myself. Thoroughly enjoyed prof Vandiver's argumentation of the Iliad. I highly recommend it for its exposition. Would you try another book written by The Great Courses or narrated by Professor Elizabeth Vandiver? I have listened to other courses by Professor Vandiver and have enjoyed them so i probably will.The performance was fine and i love the Illiad. What could The Great Courses have done to make this a more enjoyable book for you? What character would you cut from The Iliad of Homer? Given a much better description that it was a series of lectures about the Iliad by an American lady. Would you be willing to try another one of Professor Elizabeth Vandiver’s performances? I really enjoyed Prof Vandiver's course. I was given a glimpse of the depths in this epic. It was not a superficial summary of the episodes, but rather a critical analysis and an in-depth discussion. Yet there was not a moment that was boring. I certainly look forward to hearing more discussion of classics by Prof Vandiver.